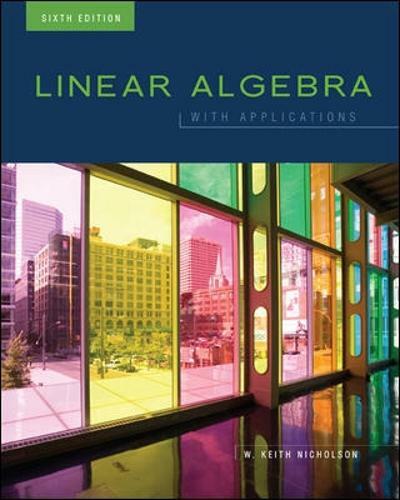 "Nicholson Linear Algebra" 6e introduces the general idea of Linear Algebra much earlier than the competition keeping with the same rigorous and concise approach to linear algebra. Along with the many diagrams and examples that help students visualize, the 6e also keeps with the continuous introduction of concepts. Number 1 advantage is in Chap 5 known as the 'bridging chapter' helps stop students from 'hitting the wall' when abstract vector spaces are introduced in chap 6.